I've been sick for almost two weeks. If I die, please feel free to use me as a Universal Health Care martyr. It's put a big damper on all the creative projects I was going to start in 2011, but I'm finally starting to feel better. I've got plans to do a regular weekly webcomic, and I've started the slow process of putting my name out to a few people. Hopefully I can drum up steady work and start slacking on my day job. Maybe. Hopefully. Anyway... MAPS! Everyone loves maps! One of the things I've come to realize by lurking on the fringes of the indie RPG community is that gamers love maps. They especially seem to love groovy hand-drawn maps rather than slick, computer-created graphical maps. Well, guess what? I love maps too! They've always been fun to draw, and like Slatrtibartfast, I love the little crinkly bits the best. I've been drawing maps for as long as I've been gaming. I'd love to share some of them with you. I'm going to start with the more recent stuff. I'm digging through a bunch of my old notebooks, rediscovering the monstrous maps I made in my younger days. Once I get those all scanned, I'll be sure to share! First up is a map of Sindbad's Africa. I did this piece for Hex Games. It was one of the few Maps I've done of an actual real-life place. The map doesn't show any interior geography, but I still like it. Next is a map of Tatvash Ni Devah, the barony controlled by my Houses of the Blooded character. This map doesn't have many labels, because it's supposed to be an old artifact of the Ven. Any script is in their obscure language. I love drawing craggy, loopy mountains. Last, we have Panagonia, home to the Laser Ponies from Hex Games's Laser Ponies RPG. 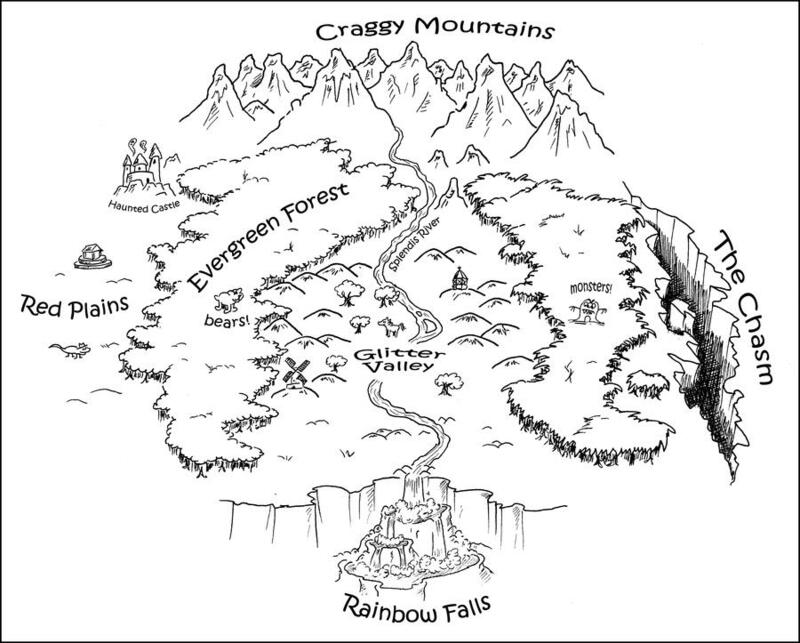 This map was especially fun to do thanks to Leighton Connor's fanciful descriptions of the fairytale geography. Again, I love drawing them mountains. Oh man, that reminds me! I have a map in my inbox that needs drawing. Great work, Josh, by the way! Yet More Leopard Women art! "Leopard Women of Venus" sneak-peak!